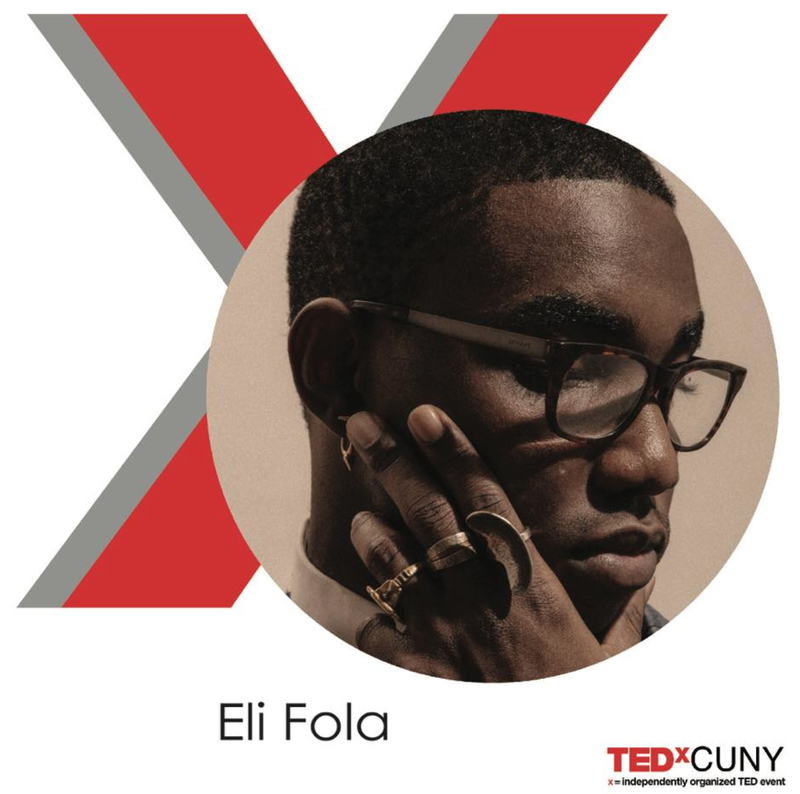 A big BIC congratulations to Eli Fola, the winner of TEDxCUNY's 2017 student speaker competition. His talk will focus on how music can be used to reconcile and highlight differences in culture and identity. Eli will take listeners on a journey via a fusion of traditional African rhythms and electronic music is what he calls “Tech Afrique." He'll be doing a "can't miss" DJ set with a String Quartet and traditional drummers from Nigeria. Eli is a Nigerian born, New York based multimedia artist, vocalist, saxophonist, DJ and music producer. His debut EP, “The Platform”, was released on March 28, 2016. Eli Fola is the founder of Tech Afrique, an independent record label and event company that serves as a platform for releasing his projects. Tech Afrique is also the musical sound Eli Fola is pioneering. Eli Fola is a member of the BIC Class of 2018. With CUNY’s 530,000+ students enrolled in 24 institutions, TEDxCUNY is representationally the largest TEDx University event in the country. It is also the first public university TEDx conference in New York City, as well as the first TEDx event in the country to represent multiple campuses. TEDxCUNY is held once a year and is structured around a theme. TEDxCUNY 2017 will explore the circuits between people, places, and ideas. The conference ask: is the nation short-circuiting? What problems and solutions are created by the changing circuits of the digital age? CUNY has long served as a circuit bringing together students, faculty, and staff from diverse backgrounds and striving for equal access to opportunity, making it an ideal place to have these conversations.